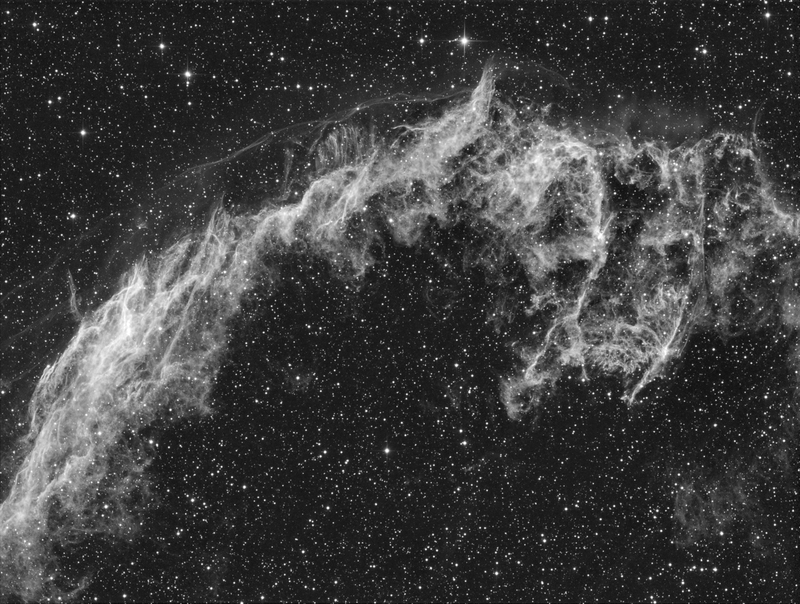 NGC 6995 is the southern part of the so-called Cygnus Loop, a group of bright nebulae in the constellation Swan. They are considered the remains of a supernova, i.e. the explosion of a star that probably occurred about 10,000 years ago. The loop, a strong source of radio waves and X-rays, still expands at about 100 km (60 miles) per second. It is about 1,800 light years from Earth.